Here we are, ready to bid farewell to yet another year. Around the same time last December, I remember reminiscing back at 2013 and being horribly disappointed about how the year had turned out – both economy-wise and at a personal level. It certainly was an all-time low but the eternal optimist in me always knew that once you hit rock bottom, things can only get better. Thankfully they did. For me, 2014 was certainly a much better year. It was a year of self reflection and new beginnings – both personally and professionally. I’ve managed to fulfill one of my life long dreams by driving across the US and I’ve made an important career move, which will present me with new challenges and opportunities in the new year. Most important of all, both my family and I are in good health. That’s certainly all one can ask for. So let me take this opportunity to wish everyone a Merry Christmas and a Happy New Year, full of happiness and health for you and your loved ones. If 2014 didn’t treat you as well, then cheer up, aim high and let this year’s bad memories flow away, like water under the bridge. See you all in 2015! Shot with my tripod mounted Canon 60D and my Sigma 10-20mm F4-5.6 DC HSM lens, at ISO 100, F13, at 2.5 secs using my B+W ND 3.0 filter. For this blog post, I’ve decided to take a break from my US road trip picture series and talk about a little side project that I’ve started back in October. If you know me personally or you’ve read some of my older posts, you’ll know that my family’s origins are from the village of Kalopanagiotis, in the heart of the Marathasa Valley. On the off-chance that you have visited this village in recent years, you would have witnessed its transformation into a hotspot for agrotourism. While still maintaining its traditional architecture with its cobbled streets and footpaths, the village is now home to a number of hostels, trendy coffee shops and restaurants and an island-famous spa hotel. My family claims to have years of experience in the hospitality business. My great-grandfather specifically, was the proud owner of an Inn back in the early 1900s, providing food and shelter to travellers riding through the village on their mules and camels, on their on their way to the northern regions of Cyprus. Now, almost a century later and as a tribute to my family’s origins, my parents have decided to restore this Inn (which later on became my grandparents’ home) into a trendy agrotourism apartment. The restoration has taken almost a year and we are now at the stage of putting the final touches. Admittedly, my contribution to this project has been minimal. As the family’s designated photographer however, I have been tasked to take a few pictures, so I can decorate the walls and post on our soon-to-be-published website. 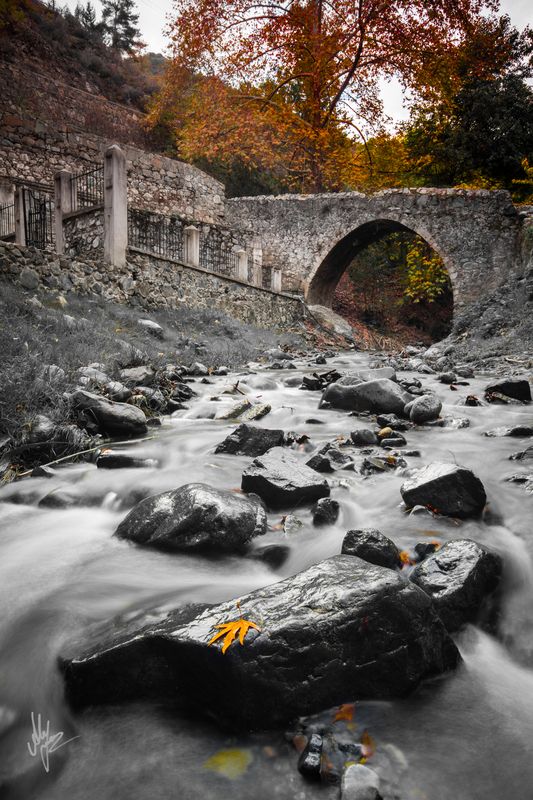 As a result, in late October I found myself in Kalopanagiotis, camera in hand, on a 3-hour shooting excursion. This picture is one of 5-6 picture frames that will soon be printed on canvas and hanged in the apartment. 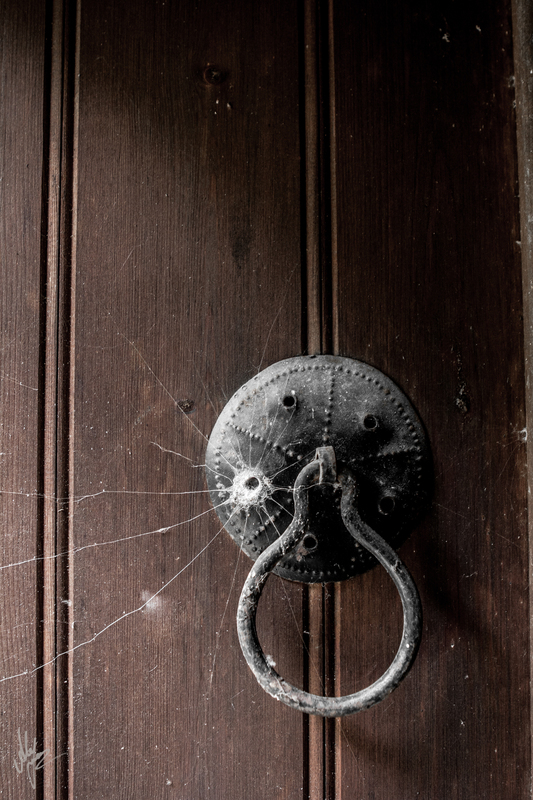 These traditional door handles are found on almost every door around the village and are truly representative of the village’s traditional character. Shot handheld with my Canon 60D and Canon 24-70 F2.8L lens at ISO 800, F2.8 @ 1/25sec. Situated in the village of Kalopanagiotis, only a 5-minute walk from the UNESCO heritage monasteri of Ayios Ioannis Lambadistis, is a small chapel by the name of Panagia Theoskepasti. 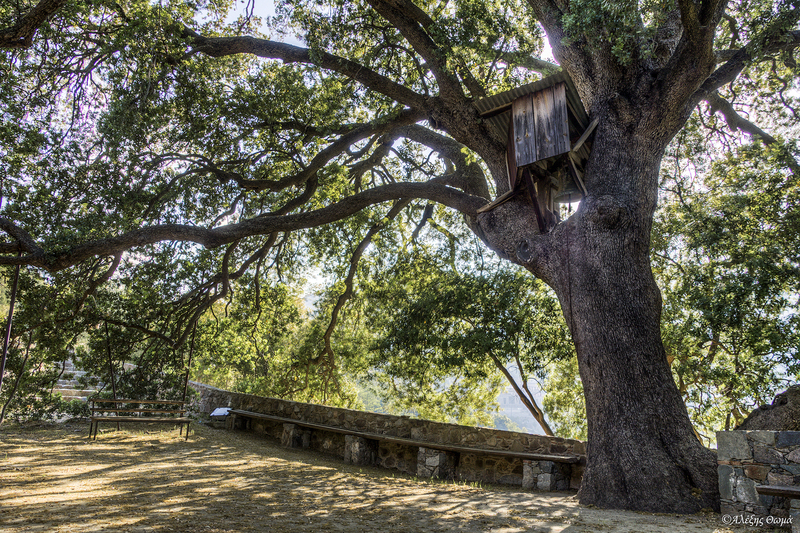 The chapel got its Greek name “Theoskepasti” (which literally translates to “covered by God”) from an enormous Kermes Oak tree that has been planted in its yard, almost 700 years ago. Legend says that when the Turks invaded the Marathasa valley in 1571, many women and children found refuge in this chapel. When the soldiers tried to get into the chapel, the enormous tree saved everyone by lowering itself and covering this holy place with its dense foliage. I have visited this chapel countless times ever since I can remember. Last Sunday however, I decided to take my camera with me in an attempt to capture the magnificence of this tree. With a height of almost 17 meters tall and a trunk nearly 4 meters in diameter, this picture definitely doesn’t do it justice. Perhaps I might make another attempt when I manage to buy myself a wider-angle lens! Taken with my Canon 60D and Sigma 3.5-6.3 18-200mm OS lens, at ISO 200, F.8.0 and bracketed at -3/0/+3. This past weekend, I decided to take a break from scuba diving (that has more or less consumed every one of my weekends for the last 4 months), and headed up to the mountains for a change of scenery. Nothing beats going up to my family cottage with the company of good friends, and spending 2 days of playing board games, watching movies, walking the nature trails and cooking loads of food. 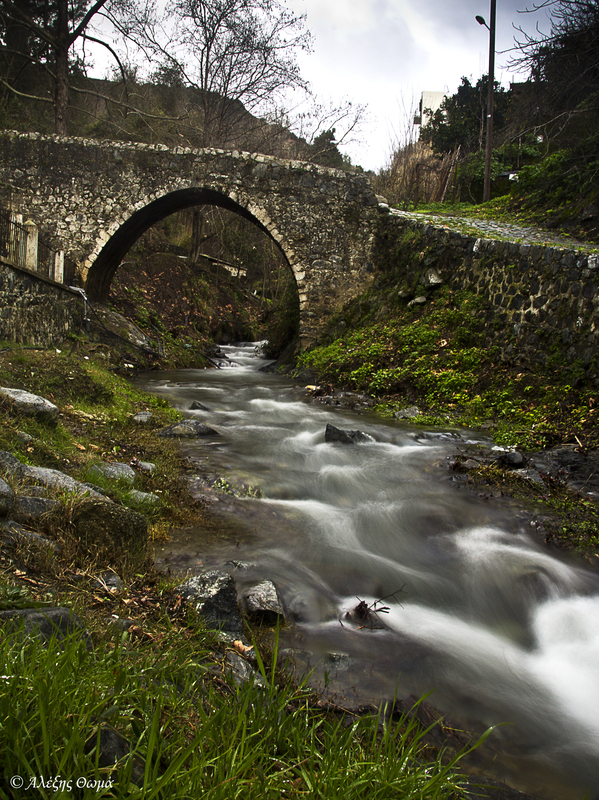 This is a picture of an old bridge taken near the well known sulphur springs of Kalopanagiotis. I mounted both my ND2 and my ND4 filter on my Sigma 18-200 lens, to slow down my shutter speed and capture the flow of water. Taken with my tripod-mounted Canon 60D camera at F22, ISO 100 at 2 seconds. Another rusty truck left abandoned in a field near Kalopanayiotis. 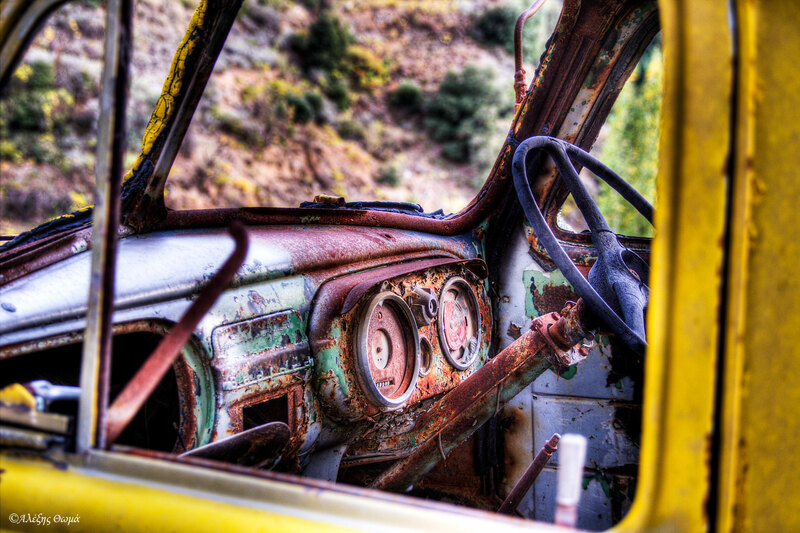 Cars in such an advanced state of decomposition make great subjects for photography , and especially HDR photography. What is mind boggling in Cyprus however, is the sheer number of such cars that are simply dumped by their owners wherever they feel like, rather than being taken in for recycling. Shot with my Canon 60D and Sigma 18-200mm F3.5-6.3 IS lens, at ISO 100, F5.0 and bracketed at -2/0/+2. PS: I will be away on a business trip for the next two weeks and most likely unable to post on my blog. What I can say however, is that I have really high expectations from this trip photography-wise…stay tuned! My family owns a plot of land adjacent to the St Nicholas chapel just above the Kalopanayiotis dam. Since his retirement roughly four years ago, my dad has spent a lot of time up in the mountains cultivating the land, growing all sorts of fruit and vegetables. So much in fact, that most of the time we have to give away food to friends and neighbours! A few months ago, I decided to join my dad in the field and take some pictures of him in his natural domain. I truly admire his hard work and dedication and at the same time I am disappointed in myself that I perhaps won’t match his zeal and passion to one day take over. My intent was to capture this passion, and through the magic of photography, freeze these memories I have of my dad being somewhere he truly feels happy. 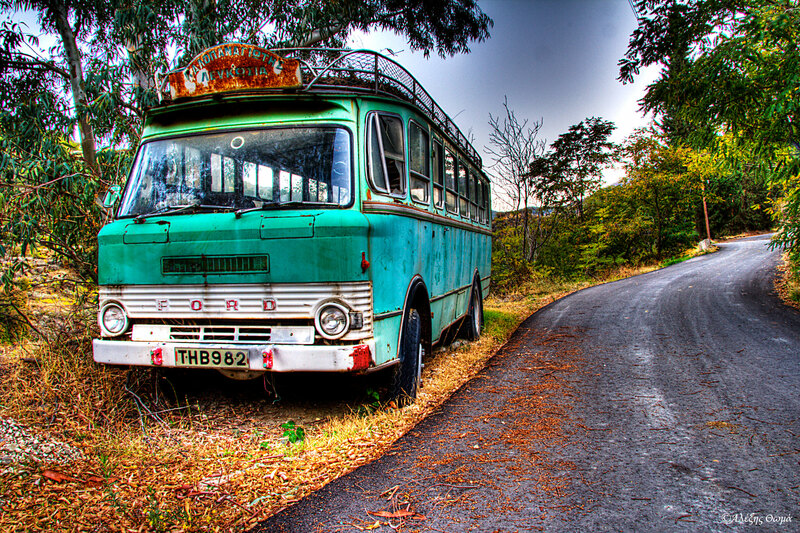 This is a picture of an old Ford bus which has been left abandoned for years now on the side of a street in the village of Kalopanayiotis. As a kid I used to spend weeks at a time in the summer with my grandparents at our cottage in Kalopanayiotis. In fact on numerous occasions I had to take this type of bus (if not this actual one) to and from Nicosia. It definitely brings back old memories so every time I walked by it, I always felt that I had to return one day with my camera for a capture. Rusty cars in general are best captured in HDR as the technique highly exaggerates the texture and creates somewhat of a surreal look which was what I was aiming for. It also worked really well with the texture of the tarmac, which I used as a leading line in my composition. Taken with my tripod mounted Canon 60D, Sigma F3.5-6.3 18-200mm lens, at ISO 100, F22 and bracketed at -2/0/+2. Processed in Photomatix with some adjustments to levels and curves in Photoshop.